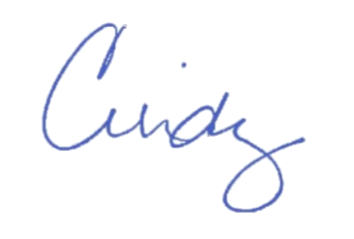 Cindy will be out of the office next week. Kathy be in the office Monday and Tuesday only. There are no volunteers scheduled to man the office on Wednesday. The church office will be closed on Thursday and Friday. 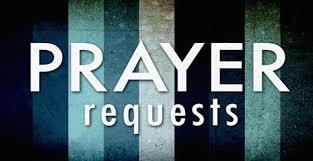 If there is an emergency please call one of your faithful elders. 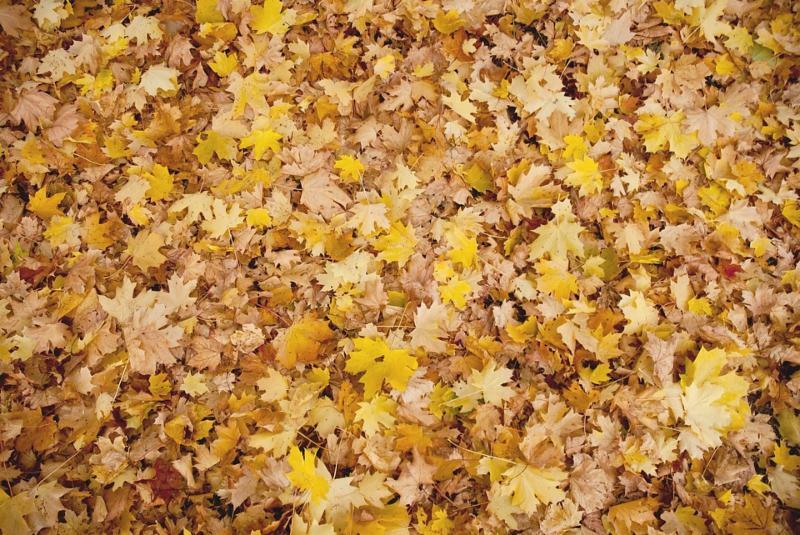 It’s the week before Thanksgiving, and I don’t know about you, but that’s about the only thing on my mind! Steve and I will be traveling next week to spend the holidays with our children, which then leads me to think how very, very blessed we are personally, and certainly how blessed we all. This coming Sunday is always the date we pastors set aside as our “Thanksgiving sermon,” and this week will be no different. The topic (also indicated by the sermon title) will be about being thankful, of course, but also about how that gratitude comes from trusting God. Is our life always going to be a bed of roses? We all know the answer to that question! Of course it isn’t!! But then, we are not promised that, are we? We are promised that God will be with us and that God loves us, and that pretty much covers it. And, knowing those two things brings us the comfort that leads to the gratitude. Gratitude, then, leads us to grateful response. It’s kind of like a big circle! Even amidst a time when there are so many distressing items in the news, in addition to the distress in our own church family of members having serious surgeries, scary diagnoses, and even dealing with death, we know that God is our comfort and strength, and (you’ll affirm this on Sunday!) that God’s steadfast love endures forever. I think it’s important for us to claim this as we pray with and for one another, because, after all, prayer is the most we can do. 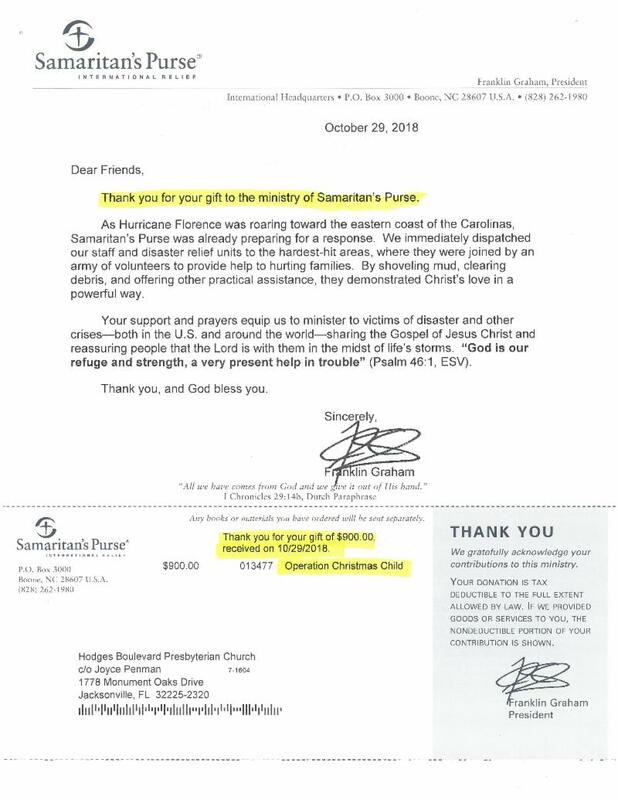 As we approach this season of giving thanks, followed immediately by the season of Advent and the coming of our Lord, I encourage you to think of ways in which you can tangibly express your gratitude – to your family and friends, to your church, to your community, and also to the world. Remember that a word of thanks or gratitude does go a long way in lifting someone up, and there may be those among us who are in need of that little boost. 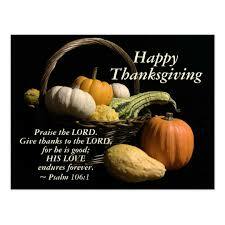 Blessings to you and yours! I hope to see you Sunday! We have a spot open for dinner this week! Please check out the signup genius link if you would like to help out and provide a meal for the youth on Sunday evening. Contact Kimberly Ross at 904-631-7727 with any questions. Thank you to all who participated and contributed! 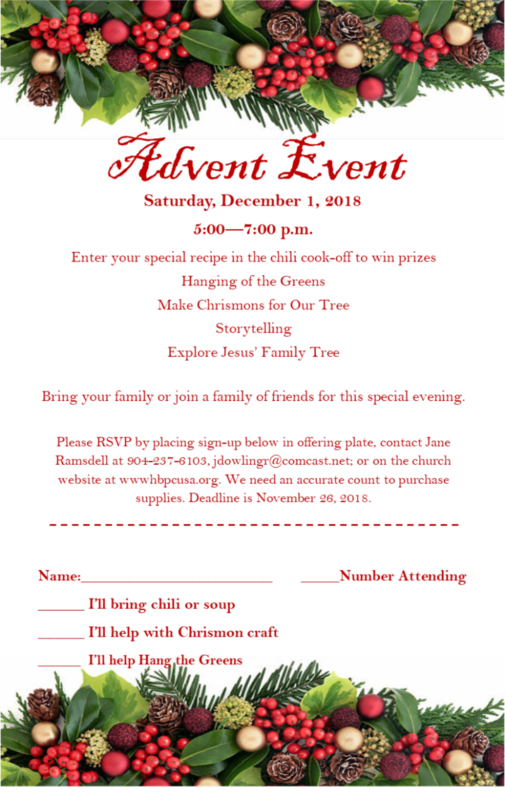 · Please remember to sign up for this year’s Advent Event . It will be an evening of great chili (the chili cook-off is first! ), hanging of the greens , making of Chrismons for our tree, exploring Jesus’ family tree , and storytelling ! Bring your family or join a family of your friends for this special evening! 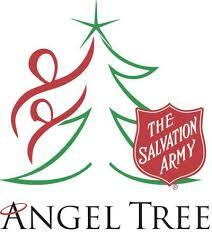 Deadline for signing up is November 26 . · We need to know about our Covenant Groups ! Our Adult Education committee is trying to make a list of all the educational opportunities here at Hodges, and we realized that we don’t even know how many covenant groups we have or where they meet!!! Please email Kathy Millard to let her know of your group, and when and where they meet. Thank you! 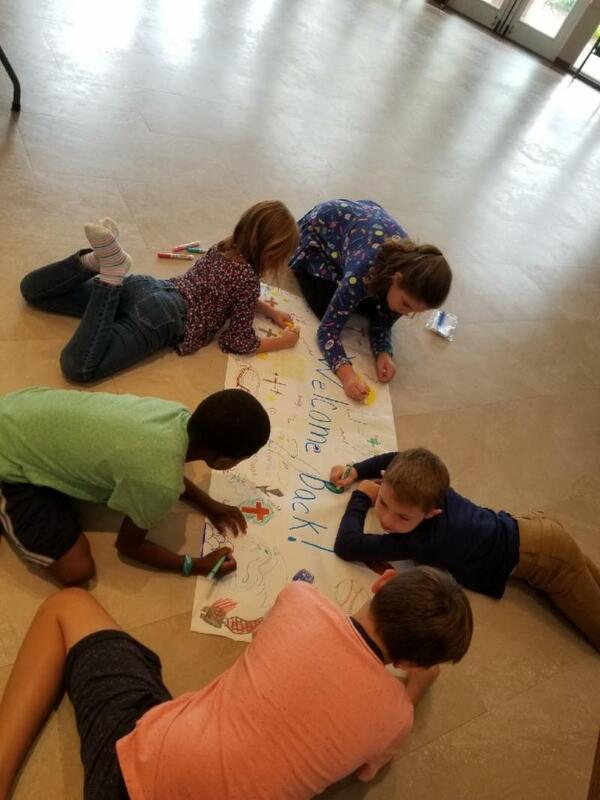 · The children of HBPC this last week began preparing for Debbie’s return by decorating a banner. They are all excited to have her back with us! All our prayers are with Debbie right now! 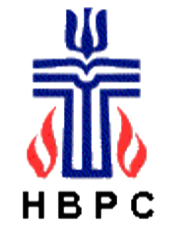 Have you considered becoming a member of HBPC? Join us after the 9:00 a.m. and 11:00 a.m. services for refreshments on the left side of the sanctuary near the pond. You will have an opportunity to meet our Evangelism Mission Team, find out about the activities and goals of our congregation, and ask questions about joining the HBPC family.